We were fortunate in having Professor Alan Aylward come to start the New Year with a fascinating talk about exoplanets. This was a continuation of the talk he had given us a year previously, and with all the new data coming from observations from earth and space, there was plenty of exciting material to cover. After reviewing the, by now, almost familiar methods of detecting exoplanets by observing their effects on star brightness and positions, he gave us an update on the highly productive Kepler spacecraft mission. This NASA instrument is a 0.95 meter telescope which simultaneously monitors the brightness of about 160,000 stars in a patch sky in Cygnus. 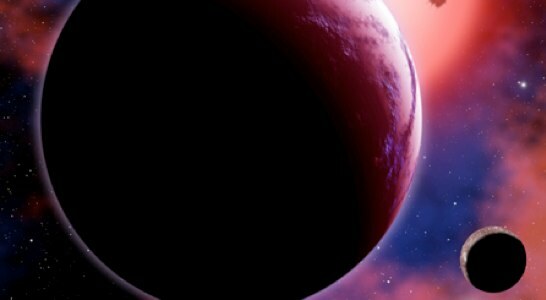 Hundreds of possible exoplanets have been discovered, including one which orbits two stars (a circumbinary) and earth size planets. Advances in ground-based observatories are now even making it possible to infer something of the composition of exoplanetary atmospheres. If transit observations are made in the infrared, it is possible to detect spectral signatures of water, methane, sodium etc as the planet transits its star. One “SuperEarth” (GJ 1214b) has been shown to be covered with water or water vapour (a super earth is about three times the size of earth and ten times heavier). These types of spectral observations coupled with new discoveries of earth-sized planets in potentially habitable zones open up more possibilities for detecting extraterrestrial life processes. Alan and his group are involved in the design of the Exoplanet Characterisation Observatory (EChO) which is designed to make measurements of the composition of the atmospheres of a range of exoplanets in size from Jovian down to “SuperEarth”. We look forward to further news about exoplanets research and will undoubtedly be hosting future talks about this in Papworth.